The ultimate champion will get $1 million as the prize money. Until the name is announced, everyone out there is making speculations nd prediction on who would win it. Going by the thoughts of the majority of people, the 12-year-old Grace VanderWall will win this season. Last two episodes or weeks, the show, held its semifinal rounds. A total of 22 contestants competed against one another. As a result, ten advanced to the finals while the rest 12 were eliminated. The top 10 finalists are Grace VanderWaal, Brian Justin Crum, Jon Dorenbos, Laura Bretan, The Clairvoyants, Linkin’ Bridge, Sal Valentinetti, Sofie Dossi, Tape Face and Viktor Kee. In the meantime, the odds to win say that the singer-songwriter and ukulest are topping the winner chart with 21/20 ratings. With her original song performances and mind-blowing voice, she has emerged as the fan favorite. Not only this, her YouTube channel has got millions of followers after she appeared and performed in AGT. Brian Justin Crum follows her in the fan favorite list. The 27-year-old singer has got 13/5 chances to win the title. Then come former NFL players and magician Jon Dorenbos who has 12/1 odds to be crowned as the next AGT winner. Then comes, Laura Bretan with 18/1 odds which favor she could win. She is an opera singer. All of the top 10 finalists have proved their mettle so far. Thus, it could be anybody who can win the finale as all of them have an equal number of chances. NOTE: This is just the predictions and speculations. Actual results will vary and will come out after the finale performances and based on public votes. In the meantime, who do you think will win the show? Who is going to be the next big winner? Feel free to share your opinions. AGT season 11 finale is to air on September 13 and 14. Stay tuned. I think Grace Vanderwaal. She going places. But all of them very talented. Laura Bretan is a talent to be reckoned with–her self-trained voice is amazing. I understand wey most Americans do not motive it but Laura doesn’t really sing the lyrics of the songs. Try comparing hers against Pavarotti’s “Nessun Dorma” or with the actual lyrics sentence by sentence in Italian and you will notice that she doesn’t even get close. Jon dorenbos! Not only is he a great magician but he gives inspirational messages about life! and to see her in a million dollar act in Vegas would bore me to death! I agree with bothe Antoinette and Lorie. Grace mumbles, her music is not that good. She is too young for Vegas, even though it is only a 3 day gig. She is NOT another Jackie Evancho. It almost feels rigged. I am team Sal when he sings I finally understand the lyrics!!! Bring him the gold ! I don’t get the popularity go grace Vanderwaal. To me her voice is squeaky and it hurts my ears. I can’t be the only one,can I ? 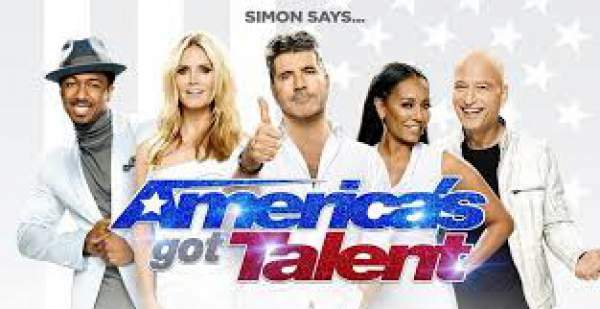 I think the judging format on AGT should change so that judges have a percentage of votes to go along with viewer votes- like DWTS. I wonder if talent agents would have picked a different winner than Grace. Have to give the young girl credit for being able to perform in front of a large live audience as well as television audience. Been to Vegas many times and would pay to see the other two finalist, but not Grace. I understand she would perform in Vegas with other headliners- would pay to see a headliner show and listen to Grace sing one song. I think the fine print shown on television reads that the million dollars is paid over a 20 or 40 year period. This is a lot of money for a 12 year old, but not so much for an adult. Think Grace will do well if she hires a well recognized voice coach. Your not the only one. Plus a 12 yr old in vagas? No no I can’t see it. I never knew what she was singing. I think Brian Justin Crum will win the show. I hope anyone but Grace. Grace is a 12 year old tween favorite that Simon and producers have taken under their wing and she always goes last during any performance. Maybe in five years from now she will be great. We already have a Taylor Swift; we don’t need another! I so agree with you, her tone of singing goes through me. Maybe in the future she will perfect those qualities. Can’t imagine her in Las Vegas and the show would sell out. So boring. I have my favorite, allthough it’s a hard choice, but Jon D is down to earth,has a talent and seems he would help anyone in need. Brian Justin Crum would also deserve to win, very talented. I want Viktor kee win agt2016 .he is incredible and stage performance was so smooth and great juggling. I hope Linkin Bridge get it .They r real!!!!! Sal is a real…..He should win….. The opera singer or the clairvoyants. Tape face! Is a true idiot! He belongs in an institution. If Tape Face went to an institution I would go visit him and bring some chocolates. When is AGT going to quit allowing contestants (Brian Crum, Viktor Kee, etc) who have been making a living in the entertainment industry to compete against genuine novices? Better yet, why is anyone considering them as potential winners? My vote goes to Jon Dorenbos . He is just what America needs. laura Bretan must be highly considered. Her 14 year old gorgeous voice is a true winner of any singing contest including this one.